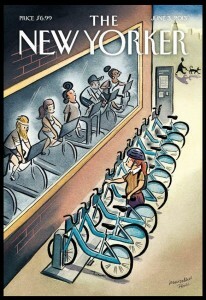 Cover: Bikeshare comes to New York! Hats off to the New Yorker for its current cover, which arrived in my mailbox the day after bikesharing launched in New York. 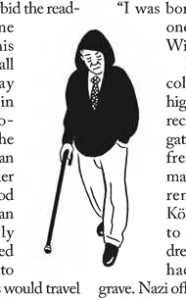 Some of the covers are just nice to look at (or not), but this one serves as a full-page cartoon. It captures an absurd moment, sets a distinctive mood, and has exquisite timing. If you know anyone who works for CitiBike, send them a framed copy to congratulate them on the big launch! Have you noticed that Spots are getting far more ambitious this year? I’ve always loved this “secret” feature, and have enjoyed the intermittent experiments with visual style and color since 2011. Now, illustrators are coordinating with the issue themes, and using much more inventive styles. 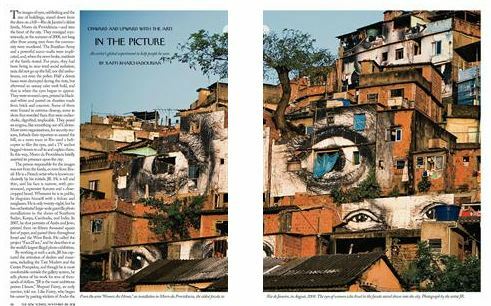 It’s great to see the editors and artists stretch what can be done with the space. In the January 7 issue, Victor Marchand Kurlow did a series on the history of flight. It didn’t break new visual ground, but it caught my eye because of the whimsy and the easy-to-follow history. I’ve been keeping a short stack of magazines that I thought I might write about, which led to a juxtaposition between two 80s rock icons that has been haunting me. 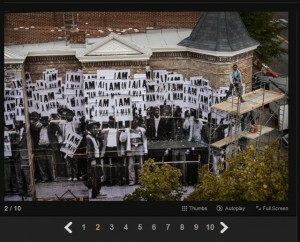 JR just completed his first installation in DC: A paste-up mural called “I am a man.” It uses imagery from the civil-rights movement, and is by an intersection that was one of the flash points of the movement here in DC. 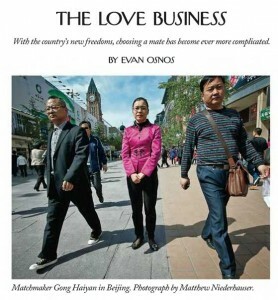 The Washington Post has an interview and photo gallery. If you’re in town, check it out at 14th and T streets NW. Deities can actually own property in India, though the law treats them as minors and they must be represented by an official guardian. The differences don’t stop there. The center of this piece is the story of a temple that could hold treasure almost beyond imagining — and the general resistance to unlocking the doors that might conceal it. In spite of the area’s poverty and the immense riches already found in the temple, local sentiment seems to be to leave well enough alone. Halpern also introduces a smaller, parallel story, common in India: A historian shows him a box he inherited. His grandfather had kept his most valuable possessions in it. The historian had not opened the box. I’ve always considered the urge to open things to be a general human trait. Any five-year-old knows, two minutes into the story, that Pandora will open that box, or that Bluebeard’s wife will unlock the forbidden door. But maybe the inability to keep things shut isn’t a general trait. After all, the Westerners who created these stories were immigrants and settlers, people who, for one reason or another, couldn’t leave an acre unexplored (or unexploited). Maybe we are culturally — and, possibly, genetically — predisposed to open boxes. Just like the tales of Chinese people meeting the challenges of modern life, I love the possibilities this idea opens for a world that’s different from the one we have today. If you don’t usually read the letters to the editor, you missed a couple of important (and fun!) 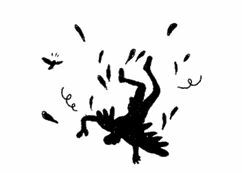 ones early this summer — I can’t remember seeing a writer get clobbered quite so thoroughly before. 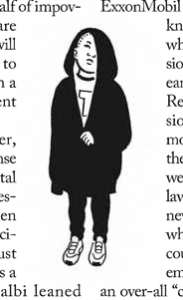 For the April 9 issue, R. Kikuo Johnson drew a series of people wearing hoodies. Whatever we end up thinking about the Trayvon Martin case, I’ll remain impressed with the quick and creative response through illustration. Don’t worry, I won’t post about every issue since early April, when I started a break from this blog. (That would be a great way to get 6 more months behind…!) So, just highlights.